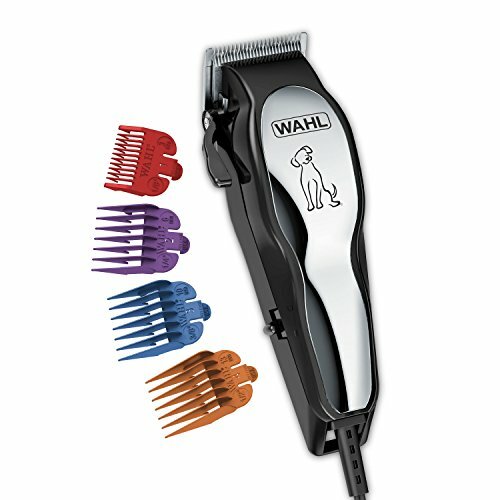 Wahl Clipper Pet-Pro Pet Clipper Dog Grooming Kit for Small/Large Dogs, Thick Coats, Heavy Duty, Cats, Low Noise/Quiet, by The Brand Used By Professionals. Wahl Deluxe Pro Series Rechargeable Cordless Dog Clippers, Low Noise/Quiet Dog Grooming Kits for Pet Hair Cut for Small/Large Dogs, Thick Coats, Cats, Heavy Duty, The Brand Used By Professionals. 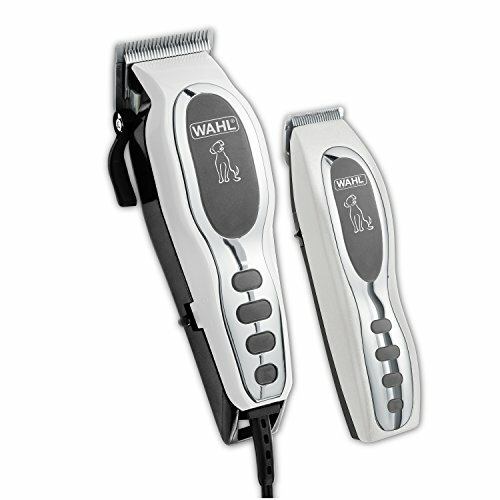 Wahl deluxe pro-series rechargeable pet clipper kit. Includes rechargeable cord/cordless clipper, recharging unit, blade guard, handle storage case, oil, mirror, cleaning brush, scissors, medium comb, four comb guides - 1/8", 1/4", 3/8", 1/2".Self sharpening, high carbon steel blades are precision ground to stay sharp longer. Convenience of cord/cordless operation for full non-stop clipping power.. Limited 1 year warranty. This Professional Quality Haunch Holder restraint in Small-Medium size measures 19" and 21" in length. This is a great tool to have on hand for the "sitters". 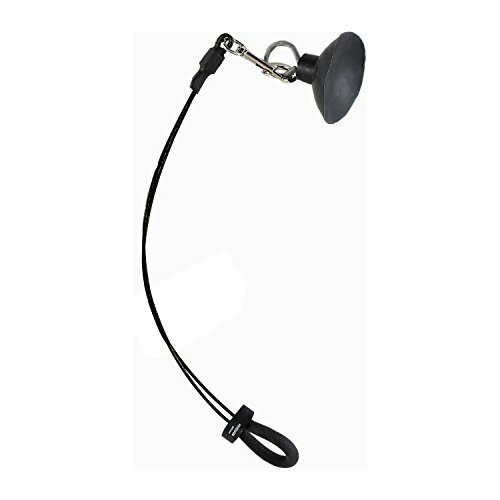 The Haunch Holder is a humane way to better control the movement of the dog you are grooming. Keeps dogs standing in comfort. No Tools Necessary! Our No-Sit Haunch Holder is the safe, comfortable and easy way to prevent pets from sitting down while working on stomach and backside areas. Relieves stress and standing fatigue in older or arthritic animals and helps control overly excitable pets from excessive moving. The Haunch Holder provides Maximum strength and durability with the highest quality materials available. Here's why we think they are a great valuet: All brass, aluminum and stainless steel hardware. Will not fray like nylon. Will not absorb dirt or odors. Comfort cushion covering protects pet's neck and flank. Even comes with a lifetime rust-proof guarantee. 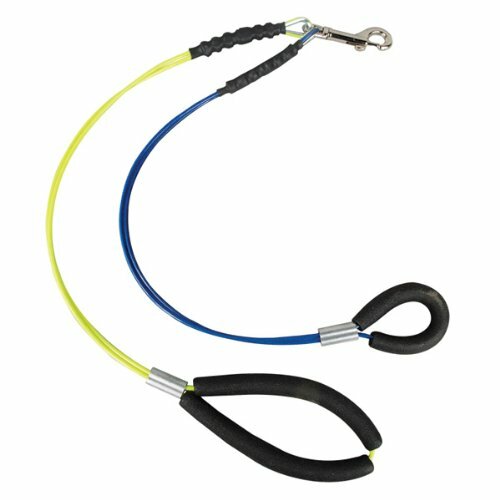 Made of our high quality steel core cable, this chew resistant, rust proof item adjusts easily to fit small or large breeds. For comfortable support of pet's head and haunches and easier handling. No-Sit Haunch Holder is a vital tool. 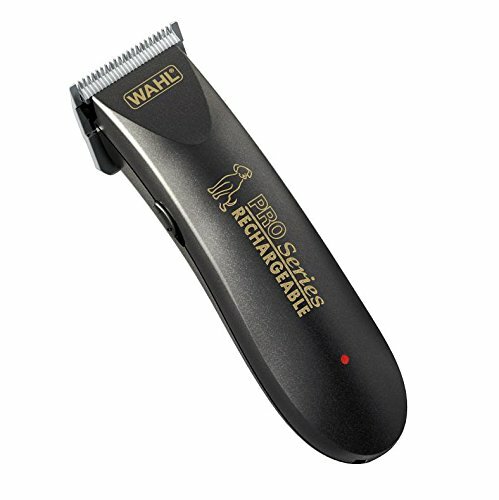 Wahl Lithium Ion Pro Series Cordless Dog Clippers, Rechargeable Low Noise/Quiet Dog Grooming Kits for Hair Cut for Small/Large Dogs, Thick Coats, Cats, by The Brand Used By Professionals. This kit is designed for full body clippings of all breeds. The Lithium Ion power gives you un-compromised cutting performance with flexibility to groom anywhere. Wahl's quick charge and up to 2 hour run-time is exactly what you need. The kit comes with color guide combs that make it easy to find your desired coat length. Wahl Pet-Pro Dog Clipper and Trimmer Pet Grooming Combo Kit for Dog, Cat with Rechargeable Clipper and Battery Trimmer, by The Brand Used By Professionals. 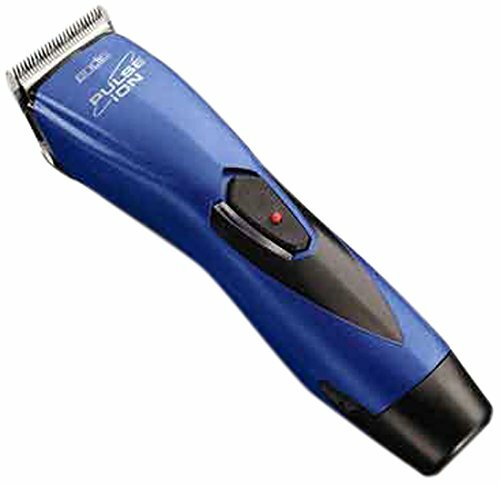 The Andis ProClip Pulse Ion Adjustable Blade Clipper is the ultimate tool for grooming on the go. This cordless clipper features a rechargeable lithium-ion battery for up to two hours of nonstop grooming. Adjustable blade with 5-in-1 blade lengths 40-30-15-10-9 saves time because you don't need to change blades. It also features a snap off blade design that detaches easily for cleaning. 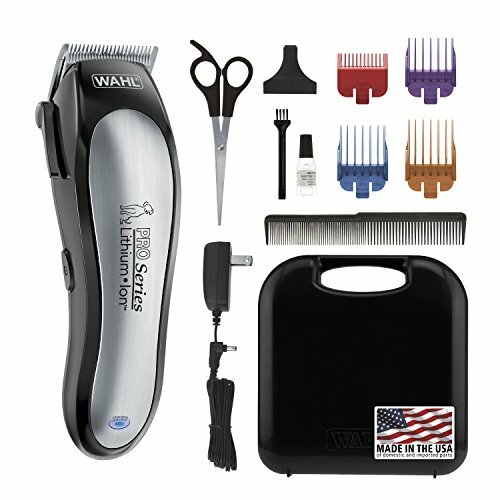 Includes charging stand and four attachment combs sizes 1/8, 1/4, 3/8 and 1/2 inches for longer cutting lengths. Smaller in size and lighter in weight compared to Andis AGR+ models. Also smaller and lighter than the corded Andis SMC models. 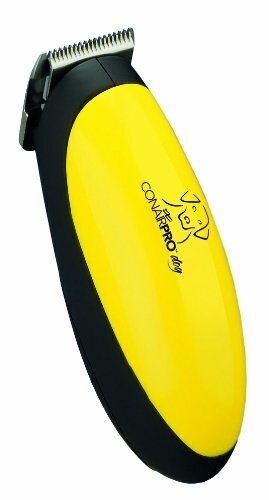 Conair Dog Palm Pro Micro-Trimmer is designed for trimming face, paws and ears. Ergonomic comfort grip, with easy-to-use trigger switch, enables micro-trimmer to fit snugly in your palm, out of animal's sight line. Cordless, battery-powered (AAA) trimmer runs quiet and smooth. Includes 2 comb attachments, plus lubricating oil, cleaning brush and 1 AAA battery. Conair Dog offers pet owners a complete line of home grooming kits, trimmers, pet dryers, grooming tools and pet accessories. Looking for more Pro Dog Grooming similar ideas? Try to explore these searches: Metal Stripper, Media Sciences Value Bundle, and Bag Purse Sewing Pattern. Shopwion.com is the smartest way for comparison shopping: compare prices from most trusted leading online stores for best Pro Dog Grooming, 8mm Czech Glass Pearls Beads, Luxury 10 Piece Bed, Dog Grooming Pro . 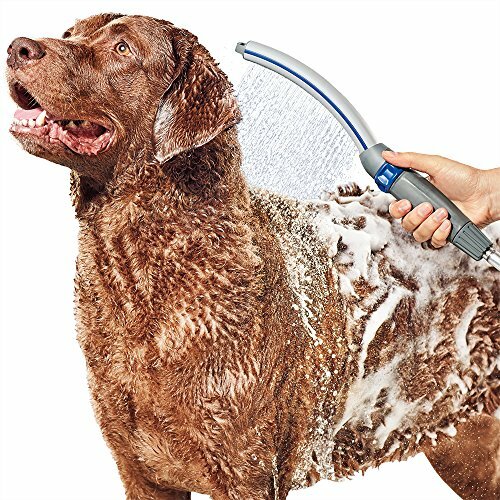 Don't miss this Pro Dog Grooming today, April 20, 2019 deals, updated daily.